In the Magento Admin some textfields can inherit default values (which have been set in config by the Merchant). A user has the ability to overwrite these default values at the page level. 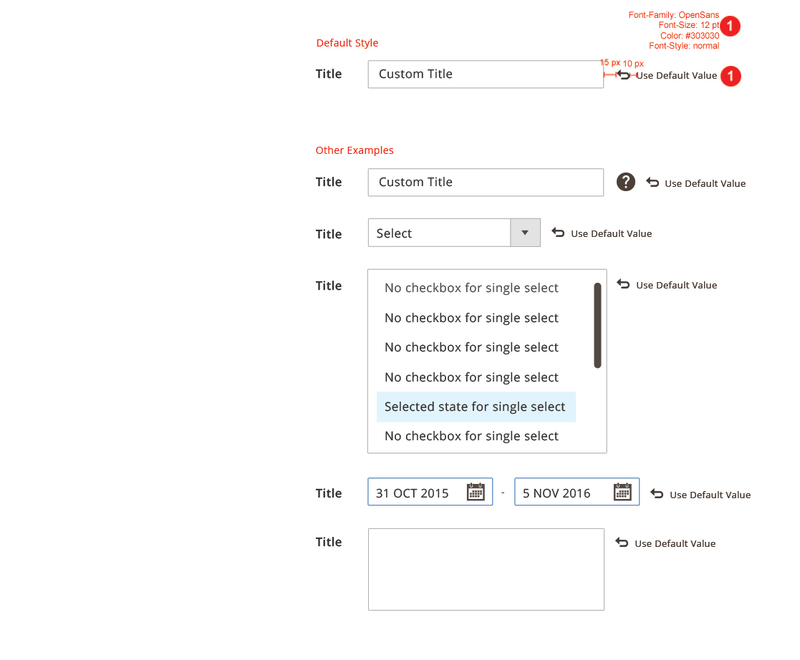 The “Use Default Value” or “Use Configuration Value” controls allow the user to revert an overwritten textfield value to the original default value. To be used when a text field inherits its value by default. It can be overridden by the user. If the user has overridden the default value this control provides a convenient method to recover the original inherited value. When the value of a textfield does not have a default value set. There are two variations. The behavior and style remains the same. The label is changed to identify the origin of this value. Value is set in Stores > Store configuration and user has to go there to change the default. Download Default Config PSD source.